Wireless charging has been out for years now with the Google Nexus 4 having it all the way back in 2012. However, it is only recently it has started to go mainstream, with Apple, Samsung, Huawei and others all supporting it on flagship devices such as the P30 Pro, and Galaxy S10. Ironically, with the incredible battery life of the P30 Pro, it is rare I need to top up my battery following a nights charge, so wireless charging feels less important. However, it is still useful, and I have found myself using it more frequently. I have an Anker charger on my office desk and it is just convenient to place it there while I work. Recently I have been checking out two new products from Choetech. A charging matt that can charge two devices at a time, and a phone mount for your car, that also charges your phone. 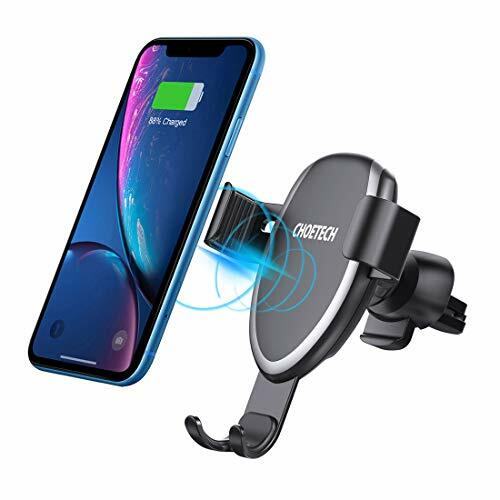 I have previously reviewed the Baseus Wireless Car Charger and love it. For me it is one of the best uses for wireless charging. The Cheotech is functionally almost the same. You need slotted air vents to mount it as this is what the clamp grips onto. Then when you place the phone into the holder the weight of it pushing down the bottom part, closing the side grips. You will, of course, have to plug the mount into a USB port, and one that it does it should charge your phone. 7.5W isn't super fast, especially as the Huawei P30 Pro supports 15W, however, I find it perfect for in the car. It provides more than enough power for navigation and music streaming, and I never have to bother with faffing around with a USB cable each time I get in the car. The mound itself is great, it keeps my phone perfectly in place, and the fact you just drop it in makes mounting it quicker too. It is currently on Amazon for £21.99 but you can also apply a 5% voucher. If you have multiple devices that use wireless charging, then the PowerDual 5 is a good choice. It has 3 charging modes to be suitable with as many devices as possible this includes 10W, 7.5w and 5w. There are 5 coils to provide a wider charging area to boost charging efficiency; no need to fumble with your smartphone for a better charging position. This is the first charger of its kind that I have reviewed that uses USB-C. It doesnt make a great deal of difference but the sooner we can phase out microUSB the better. Me and my partner have been trying it out on our bedside table so we can charge both phones at once.